Here you can find useful and interesting information about image processing and analysis. Restoration of distorted images is one of the most interesting and important problems of image processing - from the theoretical, as well as from the practical point of view. There are especial cases: blurring due to incorrect focus and blurring due to movement - and these very defects (which each of you knows very well, and which are very difficult to repair) were selected as the subject of this article. As for other image defects (noise, incorrect exposure, distortion), the humanity has learned how to correct them, any good photo editor has that tools. I decided not to use well-known Lena, but just found my own picture of Venice. The right image was really made from the left one, moreover, no optimization like 48-bit format (in this case there will be almost 100% restoration of the source image) were used - there is just a regular PNG with syntetic blur on the left side. The result is impressive... but in practice not everything is so good. Recently I published the first part of this article to restore the defocused and blurred images, which describes the theoretical part. This theme has caused a lot of interest and I decided to continue in this direction and show you what kind of problems arise in the practical implementation of apparently simple formulas. Below is the result of processing of a real blurred image (not with artificial blurring). The source image was made with the camera Canon 500D. Focusing was done manually, in order to get blurring. 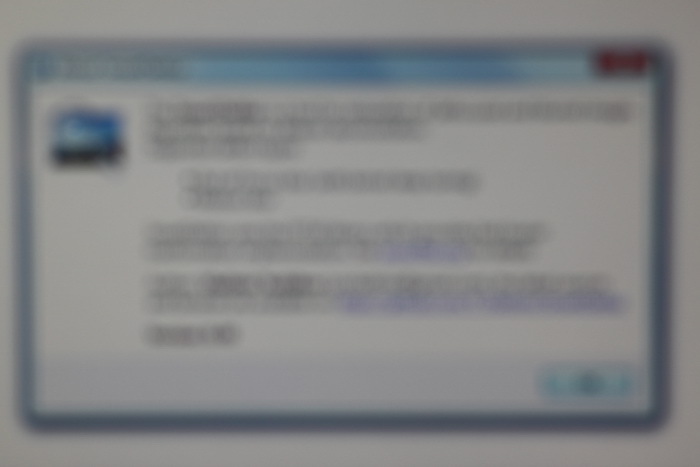 As we can see, the text is absolutely unreadable, we may only distinguish Windows 7 dialog window. 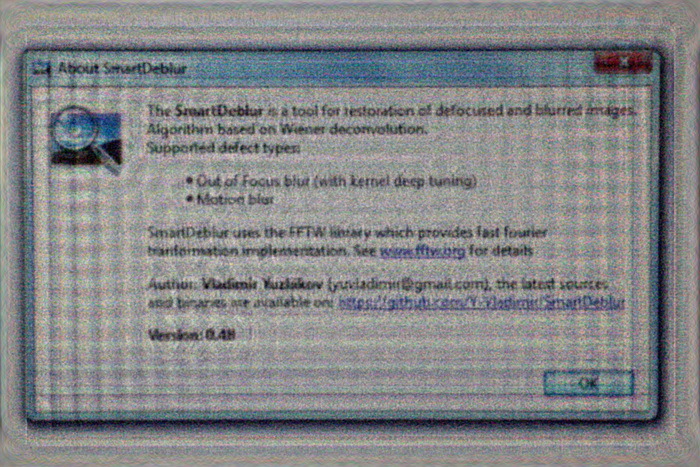 SmartDeblur is a tool for restoration of defocused and blurred images. 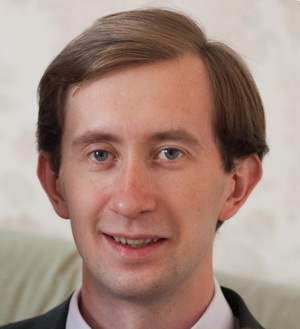 Written on C++ using Qt 4.8. Algorithm based on several deconvolution technics (Wiener, Tikhonov, Total Variation prior) - see Projects page for details.